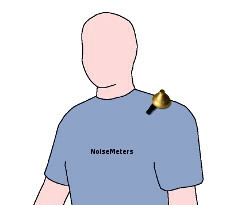 Products > Noise Dosemeters > doseBadge > I.S. The doseBadges are controlled using a Reader (included in the CK110AIS/x kits). The Reader communicates with the doseBadge over an infra-red link, like a TV remote control. This means you can mount the doseBadge on the worker and, once you have finished fitting it, start the actual measurement. The Reader also includes a sound level calibrator to check the function of each doseBadge before use. This is a requirement of most occupational noise regulations. The CR110AIS and CR112AIS versions of the doseBadge are approved for use in hazardous and potentially explosive atmospheres, making them ideal for the petrochemical industry and underground mining. The I.S. version of the doseBadge makes all the same measurements as the standard doseBadge Industrial. It is coloured gold to clearly differentiate it from the standard non-approved version. 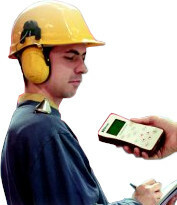 The doseBadge intrinsically safe noise dosimeter is the part that mounts on the worker's shoulder. It is a small, lightweight device that should not interfere with the worker's duties. The doseBadge is the only part of the system that is I.S. approved as this is the only part that needs to be present in the hazardous environment. 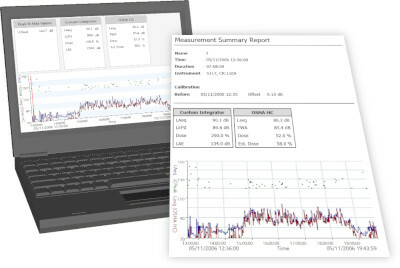 The main noise measurements taken by the doseBadge depend on the settings and the regulations being followed. To satisfy different regulations around the world, the doseBadge can use an exchange rate of 3dB, 4dB or 5dB. It has dual channels, with channel 1 configurable and channel 2 set to make ISO 3dB measurements. 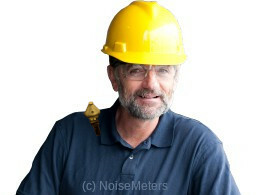 The doseBadge can be set to indicate when the noise dose has exceeded 100% (e.g. 85 dBA for 8 hours). Under normal conditions, the blue LED flashes once every second. When the noise exposure limit is exceeded, it flashes twice every second. These approvals apply to the CR110AIS and CR112AIS versions of the doseBadge noise dosemeter, which are included in the CK110AIS/x and CK112AIS/x noise dose kits. The Intrinsically Safe versions of the doseBadge have been independently tested and verified by a number of different test laboratories to ensure that it meets the requirements of the different Intrinsic Safety standards. These tests ensure that under defined test conditions the doseBadge will not cause a spark or will not heat up and cause a flammable atmosphere to ignite. Within these standards there are many different levels of performance and it is essential that you have the correct level of performance for the environment in which your equipment will be used. Only the doseBadge itself (the shoulder mounted part) and its mounting are approved for use in potentially explosive atmospheres. None of the additional items, such as the Reader and Charger are approved. All tasks such as charging, calibrating and initializing the doseBadge should be done outside the hazardous area. The CR110AIS has ATEX, EEx, IECEx and FM approval for use in Group I non-mining and Group II mining applications. The CR112AIS version of the Intrinsically Safe doseBadge has MSHA approval for use in mining applications. Although doseBadges and Readers can be bought individually, they are usually included in a complete noise measurement kit that includes everything you need to make occupational noise measurements. Helmet Mount These allow the doseBadge to be fitted on the side of a helmet that is fitted with earmuff mounts. Three different types of mount are available to suit the most common helmets.